Red. Blue. Green. Yellow. 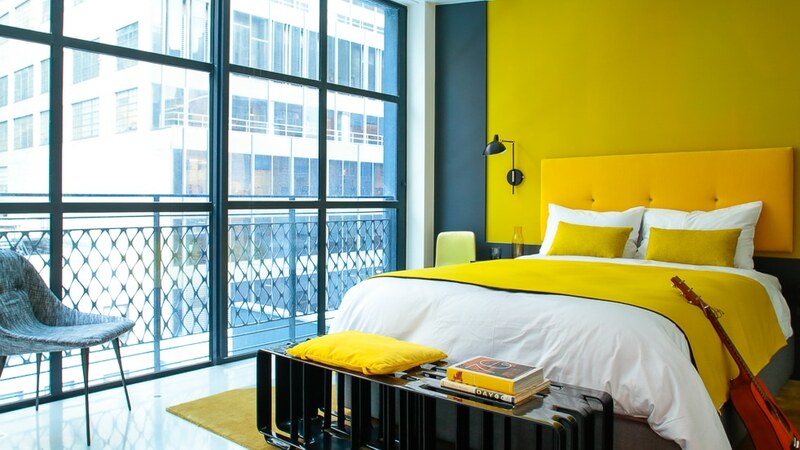 The color explosions at the latest New York design hotel „The William“ make for a good mood. But it is anyway guaranteed to have a good mood. Here, ﬁnally, one is in New York, the city which never sleeps. 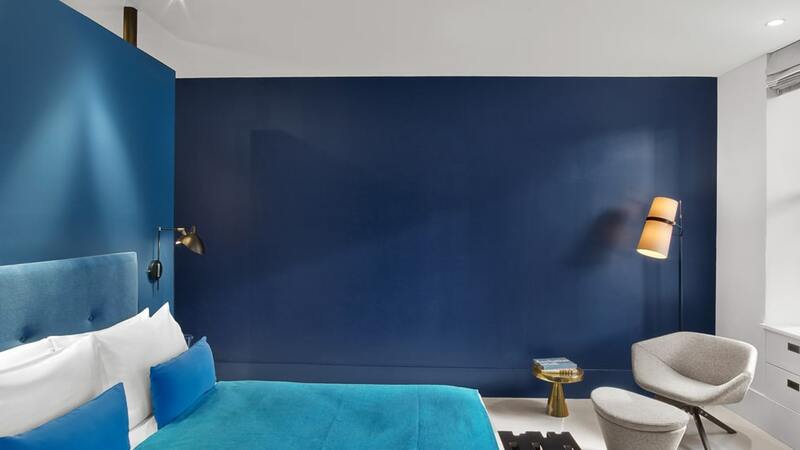 There is only one drop of bitterness: The charming boutique hotel in Midtown Manhattan is too nice, one may not want to leave it at all. The William is anything but dull, a new place which sets unusual accents, even in a town like New York. The boutique hotel opened in 2014, its 33 rooms fall out of frame. Here the boundaries between architecture, interior and art seems to be blurred. Each ﬂoor was assigned its own color and shines happily in blue, green, yellow and red tones or, however, in fresh orange. The hotel is a "whole piece of art": Situ Design who designed the interior decoration and the artist William Engelm, who contributed paintings throughout the whole hotel, as well as “Lilian B Interiors” under the direction of Lilian Bakhash who was responsible for the interior design. 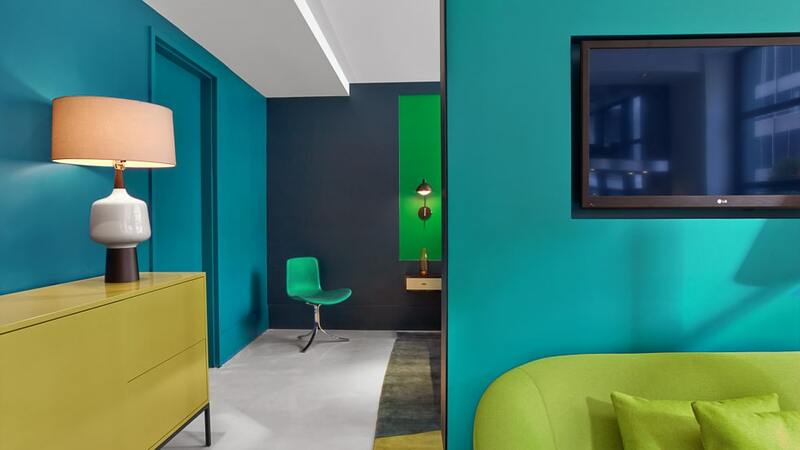 The perfect interaction of these three is reﬂected at the whole hotel, and thus harmony spreads throughout the whole hotel, walls, carpets, bedclothes and textiles as well as the furnishings in their respective color work perfectly with each other. Who enters The William cannot be sure at the ﬁrst glance if he really entered a hotel because the entrance hall is very special - in concern of style and atmosphere it goes back in tradition to somewhat of a private club, but still it remains always a hotel. The historical elements of the building are shown in grey, a detail which also ﬁnds itself in the lift area. The William is full of charm, style and hospitality. This is mainly due to the hotel team. Warmhearted and highly professionally, the wishes of the guests are fulﬁlled. 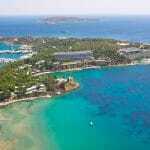 Just in the sometimes hectic city the travelers estimate a form of unexciting, professional looking service by the employees. Guests are sad when they have to leave this friendly hotel. However, for those who are not planning on leaving: Up from duration of a stay of 30 days, the hotel offers a special range of prices which guarantee further savings. 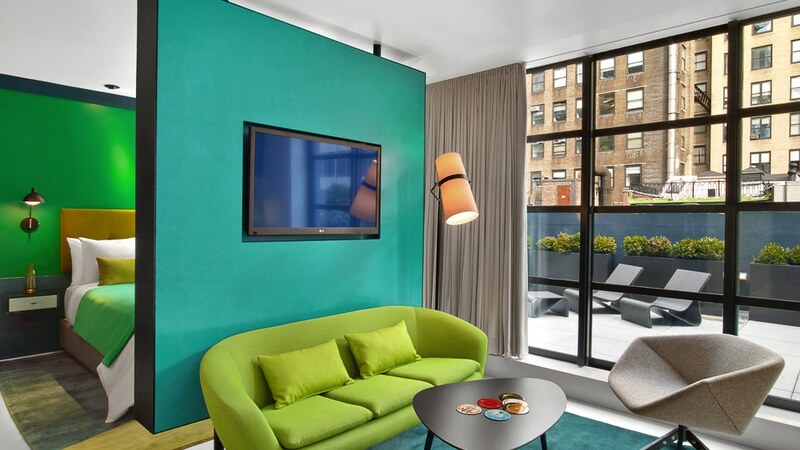 Thus, the New York lifestyle can be enjoyed in the middle of Manhattan in colorful suites – round-the-clock looked after by a caring concierge. The suites - with balcony and kitchen - act here as urbane oases with amazing views of the skyline. 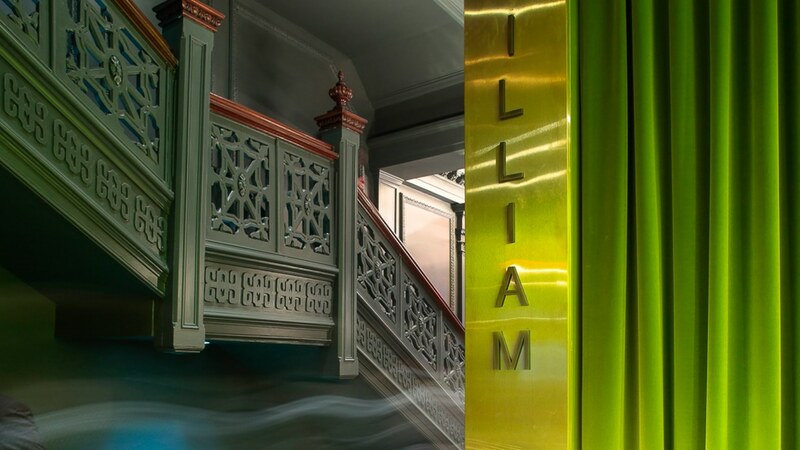 The William Private Circle is an exclusive, limited member fellowship of discerning guests, friends and select citizens from around the globe who entrust The William’s prestigious concierge with the management of their daily needs while taking residence in New York City. The William Private Circle offers members personalized care and insightful resources. For further inquiries, please contact the hotel at 1-800-ASK-WILL or via email: thecircle@thewilliamnyc.com. 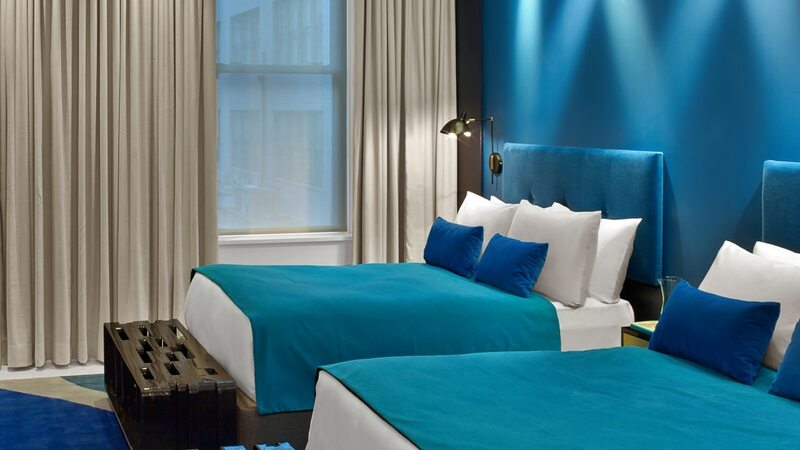 The Boutique Hotel The William lies close to Bryant Park, 5th Avenue, Empire State Building, Grand Central Station and Times Square as well as a huge number of excellent restaurants. To cut a long story short: The ideal base to explore the vibrant lifestyle of New York. 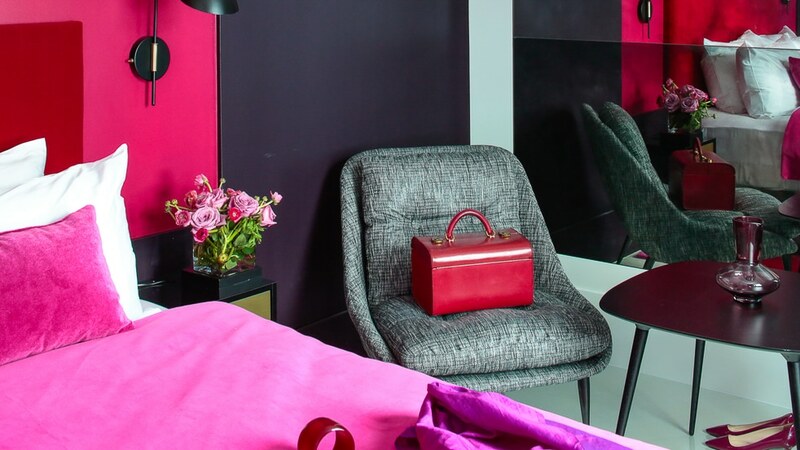 33 Rooms: Deluxe Rooms, Suites, Premium Suites, Studios and a Penthouse Suite. Some rooms have a kitchen and a terrace. The Peacock: The restaurant will evoke an early 19th century English gentleman’s club brought into the present. Enter through The William lobby and be transported into a traditional style dining room featuring rich wood paneling, oak parquet floors, marble fireplaces, and lush outdoor terrace. In the dining rooms, guests can expect a seasonal sophisticated menu inspired by classic British cuisine. The Shakespeare Pub: Located beneath The Peacock with its own separate entrance is The Shakespeare Pub. Emblematic of a 16th century pub found in Stratford upon Avon, The Shakespeare Pub will feature repurposed wood beams that run along the ceiling and rich wood paneling that wrap the walls. Take a seat at the 30-foot-long bar or slip into a private nook and enjoy a menu of English pub grub, cask ales, and wines. Raines Law Room: Opulent design and a selection of "old fashioned" Drinks make this lounge so special. Meat lovers have to visit the Keens in Midtown: The restaurant has become Manhattan's best known USDA Prime-only steakhouse. Its reputation is legendary, its Single Malt collection equally so. Hotel guests can use a nearby, very exclusive gym free of charge.